Hosting the Falcon Duals each season allows the local fan base from Fauquier County and afar to come and watch the team perform. Unlike other sporting event where home games many occur frequently the second schedule event for team Fauquier made for the home town crowd be witness the States third ranked wrestling team. Taking a second place at the duals last year at day’s end on this Saturday had team Fauquier holding the tournament first place trophy high above everyone. The Falcon Duals upgraded the meet format from six to eight teams which placed teams into two pools of four as they went head-to-head to battle through five matches in total. But many thanks must go out to all the folks that worked behind the scene during the Falcon Duals that went unnoticed – It’s Fauquier Nation people which makes it all happen. Fauquier ended the day posting a 5-0 match record as all eyes were on mat #3. Going 3-0 in the first three rounds set the stage for team Fauquier to take on Patriot HS. out of Prince William Co. and Brook Point HS. from Stafford Co. in the championship rounds. Fauquier beat Patriot HS. 51 to 16 and put Brook Point to the test by jumping out to an early lead and held on for a 46 to 23 win and becoming the 2014 Falcon Dual Champions. The tournament also awarded individual weight class winners as Fauquier had 132lbs champion Kyle Roche who went 5-0 and won the weight class T-Shirt. Other wrestlers that went undefeated at the duals were 138lbs Matt Raines and 152lbs Garrett Tingen who also posted five wins. 138lbs Caleb Strum and 182lbs Eric Lemus both assisted the team off the bench by going 3-0. But one of the most exciting matches of the day came against Patriot HS. championship round at the 106lbs weight class. With many state ranked wrestlers inside Fauquier gym during this event the 106lb Killian Cardinale from Patriot HS. and who is currently ranked the number one 106lb wrestler in the state was paired with Fauquier freshmen and unranked Kyle Budd. With the team score resting at 40 to 13 in favor of Fauquier heading into this 11th bout, Budd had no worries of needing to win for the team simply setting personal goals to test his abilities to wrestle the best in the state and win, as that’s what almost occurred. Heading into the third period of this match Carinate held a 5-3 lead late in the period as Budd was able to reverse Carinate to tie the match with 21 seconds reminding in the match. But with seconds left Carinate earned a last second escape to steal the win. To battle back to tie the high intensive match proved to all that Budd looks to be improving his game. Just like a big play in a sporting event to look back on this match one does not need to search far to acknowledge that the home town crowd was witness to something special. Even though Budd did not get his arm raised for the win a huge applause was heard from the Fauquier bench and the crowd letting little Budd know that his performance on the wrestling mat was outstanding. 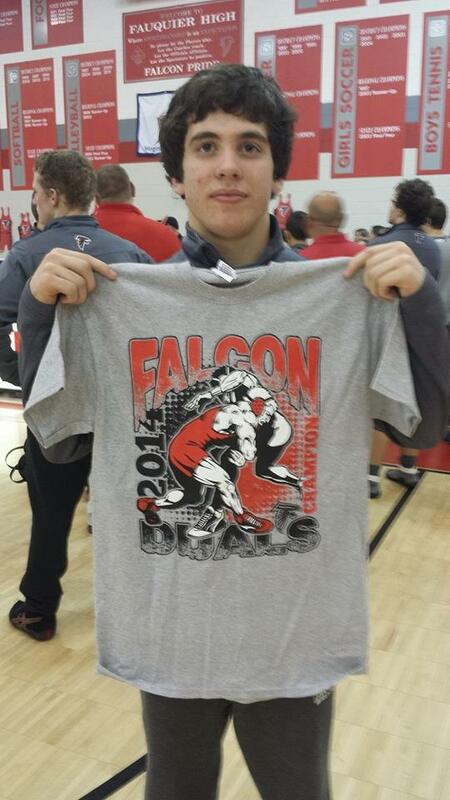 Kyle Budd ended the day posting a 3-2 record at the Falcon Duals. Next on the calendar you will find team Fauquier traveling to the Beast of the East in Delaware, Newark DE. as this is classified as the 2nd toughest tournament in the nation. The team is expecting to leave Friday for this out of state event that will take place on Sat., 20 and Sun., 21. Q: Only getting one individual champion can you explain how team wins the Falcon Duals with only one champ. Coach Fisher: "Yes, Kyle Roche was our only “official” champ. He had a solid tournament and was consistent through the day. It was a much improved and welcome performance from last week. The lack of champions was on me. The tournament format was such that it favored those wrestlers that wrestled in their weight class entirely. In many instances throughout the day, I asked our guys to bump up a weight for the purpose of helping the team or getting a more competitive match. Q: What an exciting match between Kyle Budd and Killian Cardinale from Patriot HS. - any words that you can say in the reflection of this match. Coach Fisher: "That was an awesome match from the perspective of coach and fan. Kyle got down early, and battled back. He had the momentum, and I felt that if he would have been able to hold Killian down those last couple seconds, we would have had a great chance at a major upset. Although I think Killian was surprised by how hard Kyle came at him I wasn’t. Kyle has been putting in significant time and effort into becoming a top tier wrestler. He has taken advantage of every workout opportunity for the past year. He has been close now to a couple big wins, and I know he will get it soon." 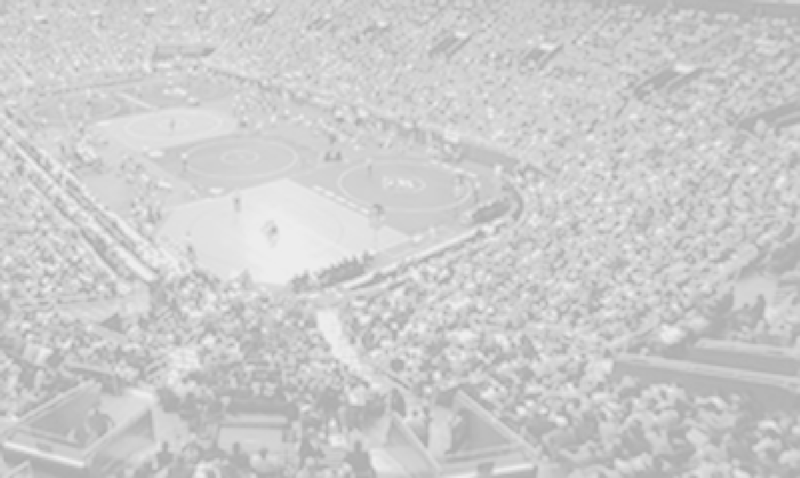 Q: Now that your team is through two events you have two wrestlers that have jumped out to an undefeated 10-0 record. How well are they wrestling right now?" Coach Fisher: "Both Matt and Garrett have been doing great. They have been pushing hard in the room every day, and been consistent in competition. They are both exciting to watch. Matt is very technical, and is fun to watch as he transitions seamlessly through multiple attacks and counter attacks. Garrett on the other hand is more unconventional and unpredictable but is effective nonetheless." Q: The next few dates seem to have the team Fauquier attending some highly ranked events. Is the team ready for the next two weeks? Coach Fisher: "We plan to be. We have some good data points between Skyline and Falcon duals. We will be continuing addressing some issues that we saw both individually and in the collective." Below are the team individual results from The Falcon Duals. Round Notes: Fauquier went 10-4 with 4 pins and 2 TF. The 106lb match featured the #1 ranked wrestler in the state Killian Cardinale winning a very close match over Kyle Budd. Budd tied the match with :21 sec. remaining to almost take the match into overtime. John Handley won 48 to 29 Brookville. Round Notes: Fauquier went 8-6 with 4 pins and 2 Forfeits. Round Notes: Fauqiier went 10-4 with 5 pins and 1 TF. 126 bout was a match that paired two 4A state champions competing against each other. Round Notes: Fauqiier went 13-1 with 4 pins and 5 Forfeits.